Sound pretty darn good to me - how come the unhappy face? 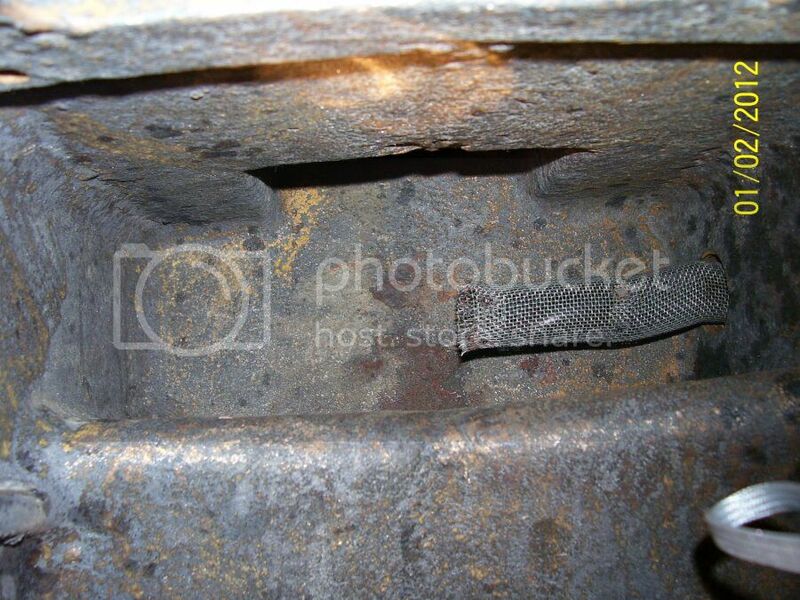 I noticed the small end bush in the connecting rod is slightly loose on the wrist pin. Is that normal for these engines ? Next thing is the camshaft removal . Do I have to remove the tappet guides and tappets first ? Looks like a head gasket leaked and allowed water into cylinder... could also have come through one of your ports. 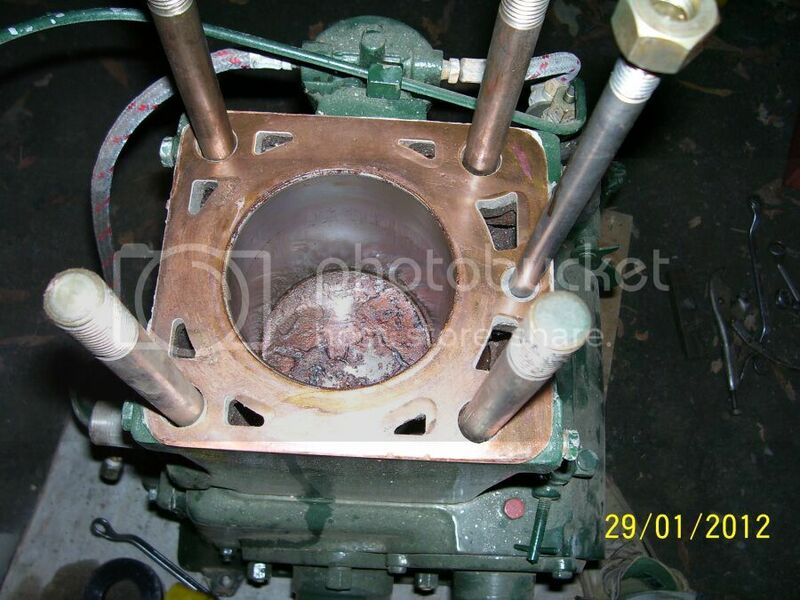 Take a look at valve seats for rust there. Check to see that your head and cylinder deck is flat. We much prefer the wrist-pin bush to be snug except for a very slight oil clearance... loose bushing equals noisy piston slap and extra wear and tear. Tappets out of the way first will make working with camshaft easier. Ok thanks . I did notice some small bits of dirt under the head gasket , whoever assembled this engine didn't care about it ? Anyway , the camshaft is out . 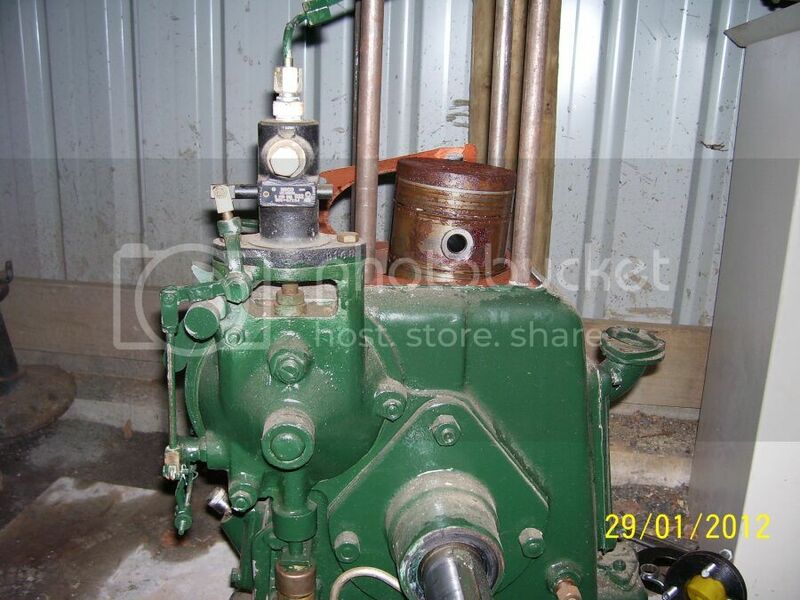 But I cannot seem to remove the crankshaft , the bronze idler gear is in the way . 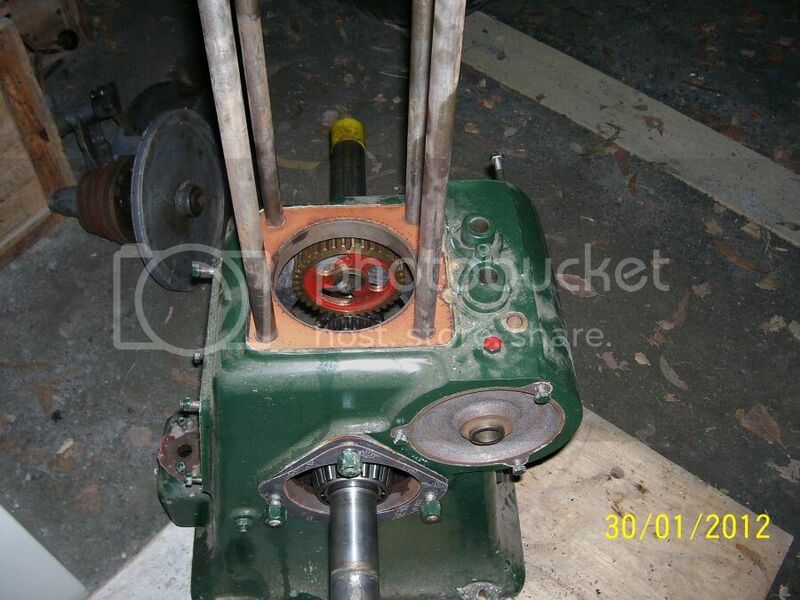 How does the idler gear shaft come out ? Remove the upper nut in the bearing housing on that side. That bolt is the journal for the idler. 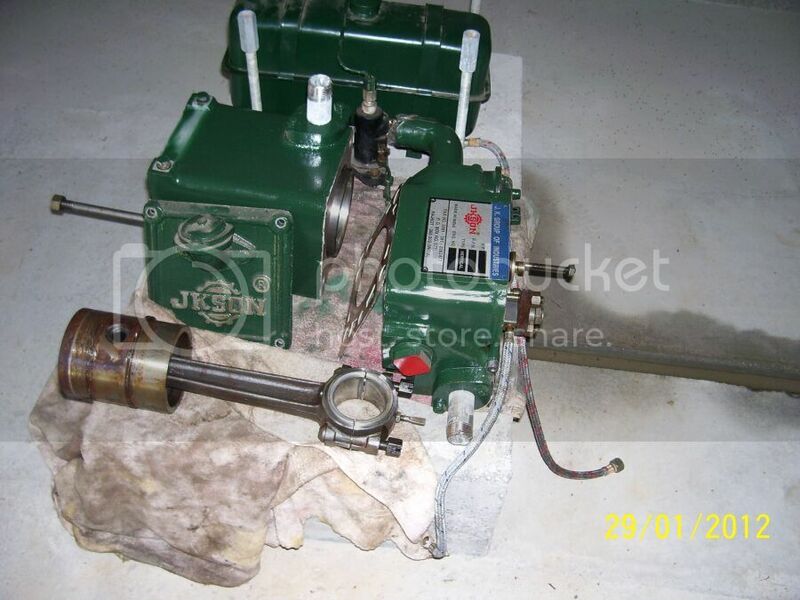 Tap it into the crankcase and the idler should come out with it. Re: the idler gear bolt. In your photo, the bolt is installed at an angle. When reinstalling, the groove in the bolt bearing surface should face up, it is an oil passage, catches splash to lube the idler gear. When I tore down my (then new) JKSON, it was in much better condition than the one you got........just goes to illustrate the point that each engine is different, and a tear-down is really essential. My Gib keys were also lightly installed, though I was cautioned that loose keys were requested by the importer to facilitate dis-assembly. I had a lot of slop in one of the keyways that required shimming on reassembly. 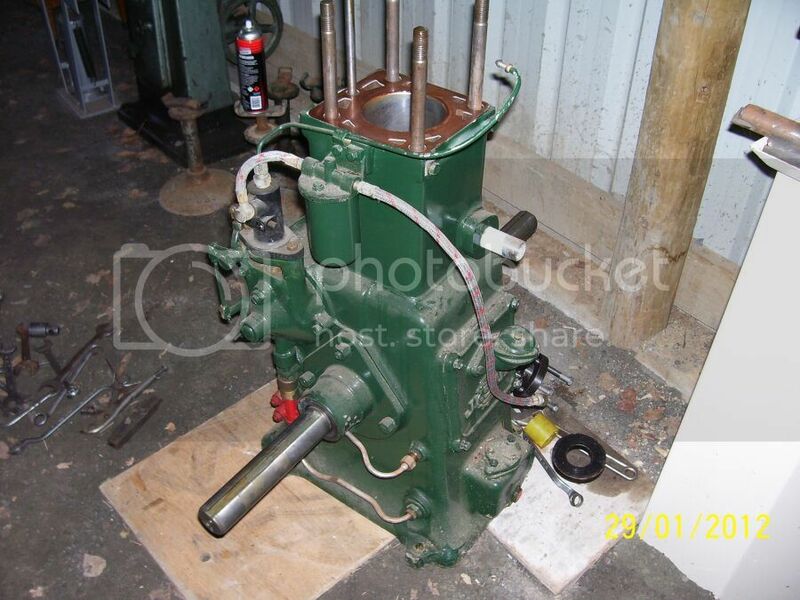 Apart from the rusty piston, the rest of the Jkson engine is OK . The crankcase appears to be one they did make correctly, I cannot find any sand so far but I will do a closer inspection tomorrow . I was going to clean out the crankcase today but I've had ride on mower trouble . The Indian gaskets appear to be of average quality , to my eyes anyway . Has anyone had any problems with leaking Indian gaskets ? I plan on using Permatex No 3 sealant on all of the gaskets during reassembly . My mower engine died yesterday , its a Briggs and scrap iron ( oops I mean stratton 12HP engine side valve , I pulled it down today, it has bad valve recession , the valve seats are beyond repair . Its been running on unleaded petrol . Not much Scrap iron in them. Even the Cylinders were aluminium, in some of them. Yeah, theres a bright idea! I have a few Chonda Chinese knockoffs and they have been great. Long time since I had a Briggs and Shitbox but I would take a Honda knock off 1000 Times sooner than a friggs. Must be a rare thing, a Roid without sand in it. You got lucky there at least. I always wonder how these things go in the domestic markets. Surely all the peasants don't strip their engines down and rebuild them before putting them to work so how long do they last in their native environments? They surely must be a major bit of equipment to farmers and the like in these poor countrys they are most used as everyday workhorses in. Run your fingers through the oily residue left on bottom of the crankscase and/or upper shelf and if you dont find many little hard objects Ill buy the coffee next time. Although my experience is limited to around 20 various Indian engines through the shop I have yet to experience one that had the cores properly knocked out and cleaned. That being said my hopes are always high because they get the easy to see areas thus at first glance they all look pretty decent. I plan to cover this in my up coming build but here are some places to poke around for sand and dont be afraid to to some serious poking, hammer and punch or heavy screwdrivers, needle scalers are the cats meow. I would shot peen if I had that capability in the shop. D -Any webbings in the block. Check all of these places from every angle available, each opening. I have seen that white colored coating previously and it is close to worthless. I recommend that you remove it and recoat even if you have one of the rare no sand units, Oven cleaner works OK for this and you rinse it out with a hose. Indian gasket quality varies from dang decent to pure garbage, If the head gasket has major defects (dents) from sand it should be replaced. Also check it carefully to see if it is copper or copper washed aluminum, if aluminum chunk it in the trash. If the liner protrusion is correct and the head is flat the very best head gaskets come from John at Gaskets to Go. If protrusion is too high(likely) and you don't do anything to correct it or the head then the thick sandwich type indian gasket will weep less coolant. Spent today poking around the inside , only found two very small pockets of sand . I used a sharp poker and scraped around all the corners . I used a small LED torch and closely inspected all the corners and hollows . I then pressure washed it out . Seems to be OK . I can use a hot caustic bath and dip the whole thing for a few hours , don't know if it is worth it . Has anybody painted the inside with special paint ? Would it be a good idea ? The outside has a coat of bog over the casting , I think you call it bondo . I think I will leave it . One thing I don't like. The tappet guides are a loose fit in the crankcase , they came out easily with a simple tug , after the paint had broken away . Appears to be around .002" between the guides and the crankcase . I may have to use loctite on the guides to hold them in . We use an epoxy coating on the interiors... it just gives a good slick surface to aid in cleaning and is recommended. Powder-coat enamel (baked on) might be even better, but simple epoxy is very cost effective and easy. Starting with a perfectly clean surface is important, but difficult unless you do give the casting a good hot caustic bath. This will also remove the exterior body filler putty they use right quickly. The Indians sometimes build with very rough castings... but not every one is bad enough to require the body filler. I think that supposed "finishing touch" may be considered standard practice but not required in every case. The British made castings, on the other hand, are perfectly smooth and flawless because of their stringent quality control practices. The Indians could likely do the same thing, but would cost them a little more to produce a perfect casting and only export the best ones. Backyard foundries cannot compete with a controlled factory environment. It might be helpful and educational for a native speaker to follow and document that practice as well as showing how the family and business networks really operate in India. It is quite a different environment from what we utilize in the Western world. Ok that is interesting . 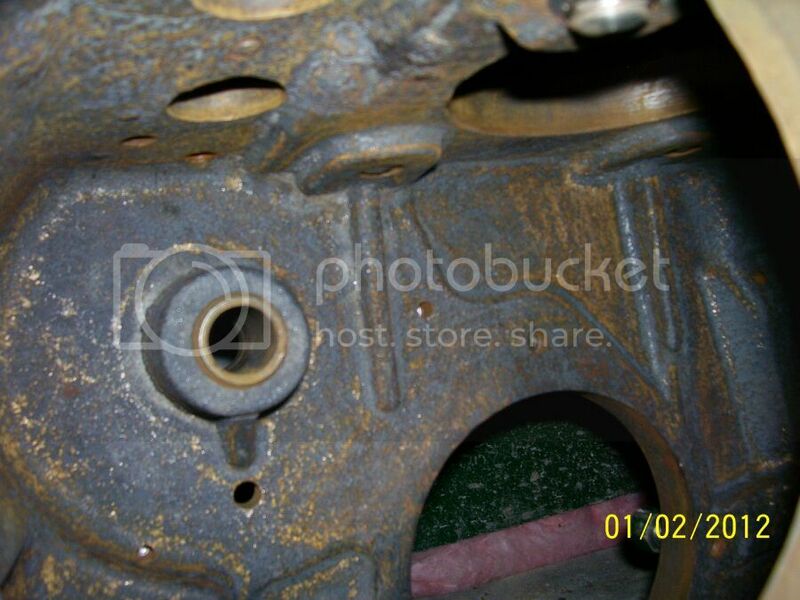 My old 1950 land rover engine has a coating on the inside of the engine block . Apparently it was for the same reasons we are worried about , to minimise any problems from stray casting sand .